I am often asked what is the best way to learn to sail, or if I could teach someone how to sail. While I am more than happy to take keen people out on my yacht, I don’t really have the patience to teach. I did get my sailing instructor certificate a few years ago, but as I think I just instinctively do things, I just find it hard to explain in words what to do! I was lucky enough to learn how to sail as a child at school. 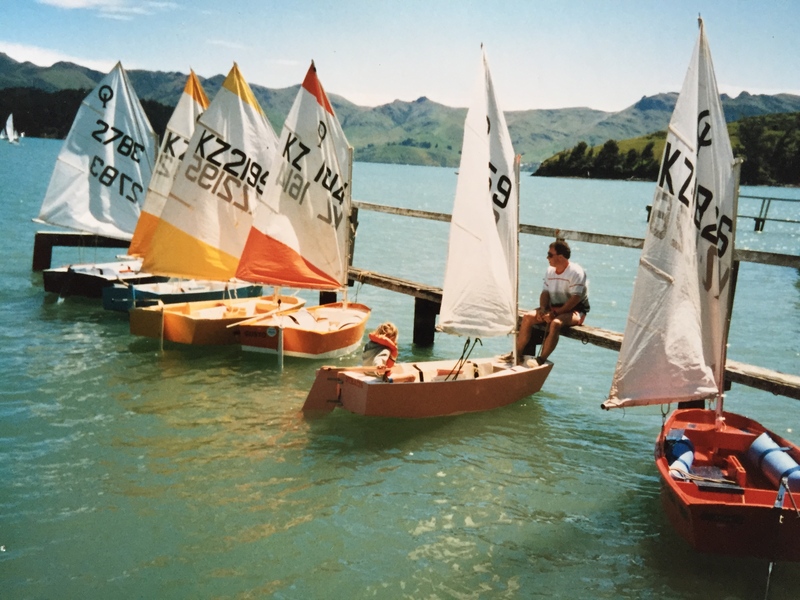 We were introduced gently, firstly being towed around in a swimming pool and practicing tipping over etc, and then out for real in the harbour in little Optimist yachts. I then went on to do racing – which teaches you lots about reading the wind, adjusting the sails, tactics, and pushing your boat and yourself to do your best. The beauty of learning how to sail in a dinghy is that you are in control of everything, you need to read the wind, learn the tactics and collision rules, steer and adjust the sails all by yourself. If you make a mistake then you tip out. It is a great way to learn. Some dinghies just have the one sail – like Lasers, others also have a jib, and some also have spinnakers. After a couple of years of no sailing while I was travelling, I came home and started crewing on a keel boat. The difference with sailing on a keeler is that you are just a small part of a big team. The yacht I crewed on had over seven crew positions, and your job was just one role of many that it took to race the yacht. The difference with starting here is that you only learn one part of how to sail the boat at a time. Sometimes people struggle to understand why they are pulling that rope or letting it out, as they are only doing what they are told to do as opposed to understanding WHY they are doing it. It is difficult to see the whole picture when you are just holding one piece of the jigsaw puzzle. 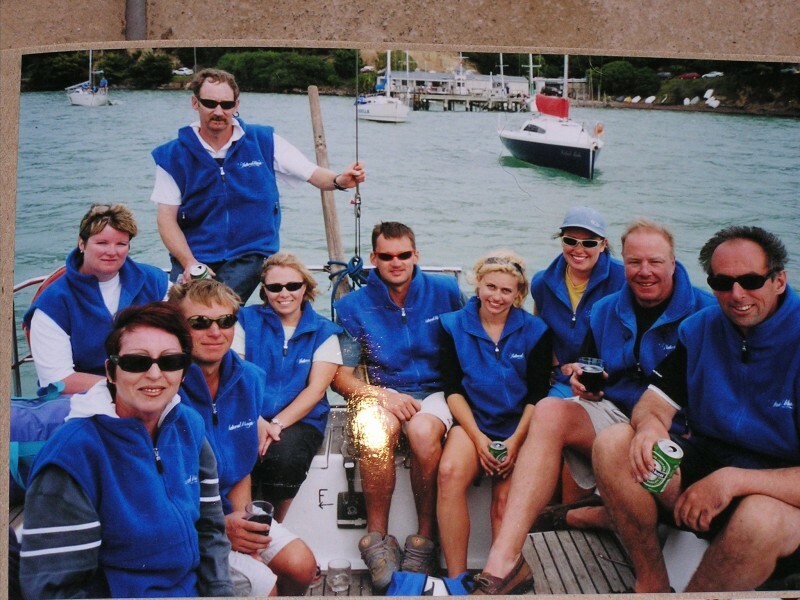 The best yachts I have sailed on have been with a crew of former dinghy sailors. It is a beautiful thing when you are rounding a mark and the spinnaker goes up without anyone having to give orders or explanations. Everyone knows what is ahead and they communicate instinctively as everyone knows what is coming up. Of course it is not often that this happens, it is sometimes also complimented with swearing and shouting, but on the whole people know what is coming up and the job they are going to have to do next. There are keel boat instructor courses which are also invaluable, especially if you are planning on not starting in a dinghy. They will teach you all the different crew positions, and you will be a better crew member first. Do some adult learn to sail courses in a dinghy and do some races. This is a fantastic way of learning as you are sailing the yacht all by yourself, reading the wind, tide, tactics and everything all at once. Get in touch with the local yacht club and ask if anyone is looking for a keen crew member (people are ALWAYS looking for keen crew members!) loiter on the wharf an hour before a race starts and ask if anyone has space for an extra person, or offer to go out and help on the start boat, rescue boats or in the start box. You will meet lots of people. If you feel you want some more keel boat experience, book some lessons as well. It will be money well spent and you will have a better idea of what is expected of you once you start crewing. 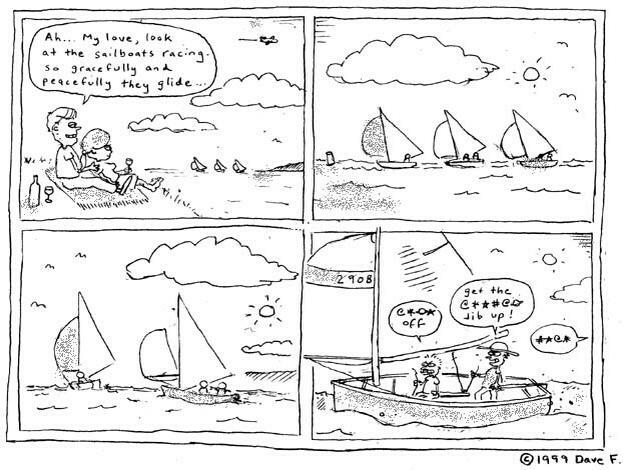 Even if you aren’t interested in racing, it is a great way to learn how to sail. When we are cruising we generally take the easy path, tack infrequently, don’t put the kite up, turn the motor on and rarely push ourselves. Racing encourages you to sail to the best of your ability, it is fast and challenging. Be aware that there are some yachts who are more competitive than others, explain your experience and ask to go with someone easy going, and work your way up if you want to be more competitive. When you go along, wear warm clothes, non skid non marking shoes, take your sailing gloves and life jacket with you and some beers for the boat – or even better a pizza or something to share with the rest of the crew – even if you are no good at sailing you will increase your changes of getting invited back if you bring beer! You should be shown where to stand/sit and where not to and the hazards to look out for. If you aren’t sure just ask. If you need to use the head (toilet) then ask for instructions on how to operate it BEFORE you use it…! If you are trimming – remember that decent winch handles cost about $100 and if you drop it over the side then you need to buy a new one! Try to think ahead and anticipate what is coming up and what the skipper might need. For example if you have finished racing the yacht needs to be packed up, sails folded, covers on, ropes coiled, fenders, boat hook and mooring lines ready etc. Watch the other crew for tips and copy them! Do some theory classes – Boatmaster, Coastal Skipper, Marine Medic etc, they will teach you all sorts of things about reading the weather, navigation, lights, passage planning, knots, seamanship and so much more. The NauticEd courses I mentioned before are perfect, especially if you prefer to learn at home in your own time. Coastguard Boating Education also have some excellent courses as do the RYA. Help the skipper and crew with maintenance on the yacht – great crew members do this and you will learn all you need to know about what to do when you get your own yacht. Buy your own boat! The learning curve is very steep when you are in charge! Smaller trailer yachts have sometimes got fantastic accommodation inside them so you can sail, race and cruise as well. Keep learning. I still learn new things every time I go out. Don’t ever expect to know it all! Of course this is just my opinion! You could just buy a boat and teach yourself like some people have successfully done. There is no right or wrong way, but you will find that other sailors are a very helpful bunch and they are usually only too happy to offer help or advice. Just ask!